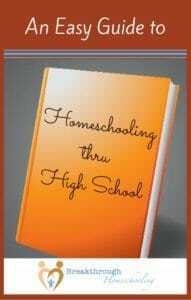 Are you one of the “brave ones” who is facing, and planning on, teaching your child at home through high school? 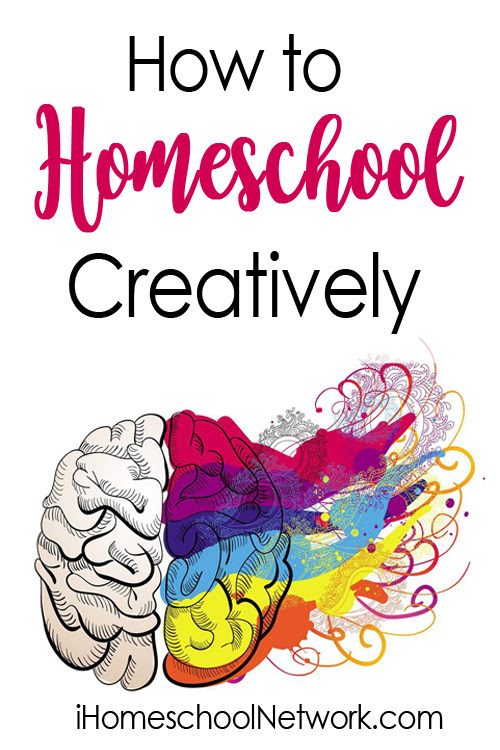 Actually homeschooling through high school isn’t as scary up close as it seemed when you might have been contemplating it years ago. My personal experience is that, when it was time, God provided whatever courses/teachers/programs we needed. Just NOT before! A solid, college-bound high school program these days should include a core curriculum of math (4 years), science (3-4 years), English/Literature/Language Arts (4 years), Social Studies (3-4 years) and foreign language (3-4 years). help them develop interests, talents or gifts they have. If you’re getting ready to get classes going this year, you’ve most likely gotten your basics down pat. However, you may be scratching your head as to what to study to fill out a useful semester. I’m presenting it here to hopefully get your creative juices going! If you find something interesting here, your next step would be to develop a program of study on your own (unit study style) or search for a pre-made curriculum. Whatever route you take, make sure to keep records of time spent, materials used, projects completed and any other effort put forth, in the form of a paper document or portfolio. You will want to have a record available when it’s time to get those transcripts ready for college! Additionally, HSLDA has an exceptional article on utilizing both electives and extra-curricular activities in a well-balanced high school program. Contrary to popular belief, Life Skills is not a “fluff” course, or at least it doesn’t have to be. (Just ask today’s 20-somethings today who struggle with “adulting”) Sadly, and quite surprisingly, I discovered that my own kiddos lack a bit with some basic skills that they will need once we launch them into the world 🙁 Recently, I’ve added a course from SkillTrek to beef up their own real-world education. Take a look at their offerings here. And don’t forget – subscribe to this site and get encouragement and information to help you homeschool through high school. 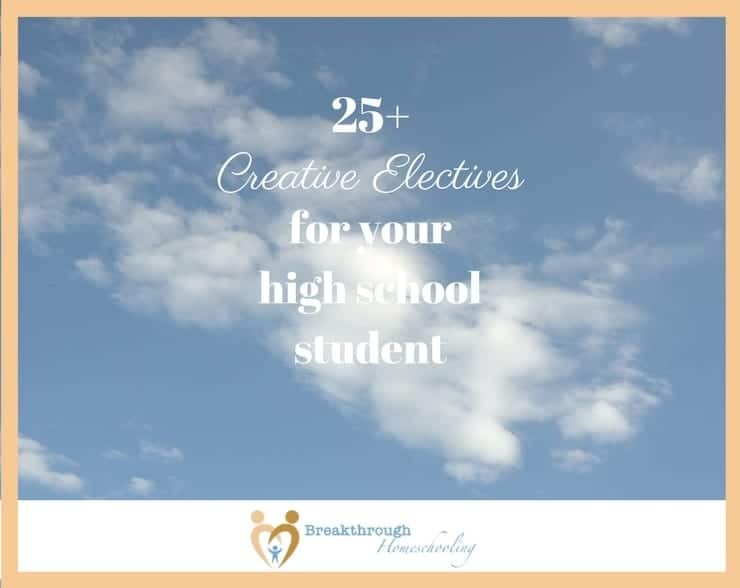 Do you have any other ideas for creative electives for high school? Please share them with us! I love this list! Thanks for posting! Heather, how neat is that?! Your daughter is already into home design?!!! She’s (and you – lol) got an exciting future ahead! And I really love your blog: the tea party menu had my mouth watering, as did the spicy kale recipe, and the gluten-free eclairs… (guess you can tell it’s almost time to make supper ’round these parts…)! I was looking for photography classes as an elective for my homeschooled daughter. She loves to take the photographs all the time, so I had decided to explore her interest. Now she has started online photography classes at The Ogburn Online School. 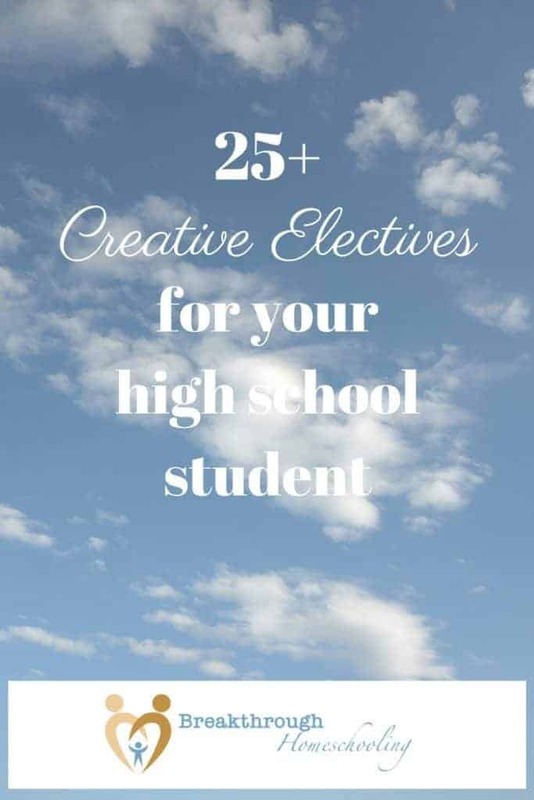 There is a great company called Creative Electives with a High School elective, Intro to 3D Modeling. It’s a fun course… check it out!